Raku in the West today invites experimentation while retaining as much of the philosophical content rooted in 16th century Japan. 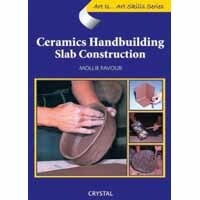 This program assumes some basic pottery skills. Subjects include: Raku clay, hand and slab construction, slip painting, wheel throwing, manipulated shapes, glazing, kiln firing, and the smoking process. If you have always wanted to learn how to throw- You’ve come to the right place. 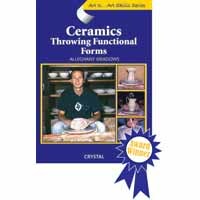 “Fundamentals of Wheel Throwing" is an instructional DVD for the beginning potter or the potter who needs specific techniques to improve their basic skills. 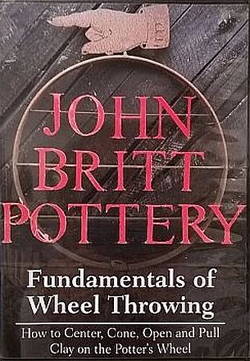 John Britt shows you the basics you need to start throwing, and short cuts perfected by over 30 years of teaching that will rapidly improve your skills. Rather than learning someone else’s style and copying his or her pots you’ll have the skills you need to need to develop your own unique shapes. This video is all you need to experience the magic of throwing. Beyond the Basics teaches multiple ways to form the lip, body and foot of a tumbler, cup, and yunomi (tea bowl). Through a series of exercises, you will learn how to create a unified form reflecting your own aesthetic. I’ll also show and discuss examples from my personal cup collection so you’ll be able to see how other artists integrate these to create a unified whole. 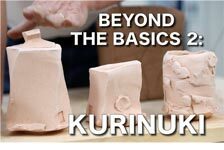 Beyond the Basics 2: Kurinuki teaches the “hollowing out” method. Rather than forming shapes on the wheel, this video shows show to hand build, facet or sculpt shapes you want in the solid form, and after drying a bit, they are then hollowed out. It is a very direct way to work that is simple and very enjoyable. Anyone can immediately start making things but, as always, to master this form will takes years. The important thing is to have fun and explore new forms! 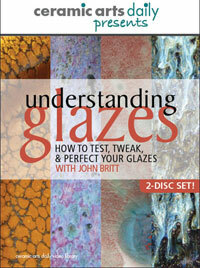 In this first video, Fundamentals of Glazing: The Basics, John Britt shows various techniques like pouring, dipping, and brushing on glazes. This video walks you through the basics of glaze application beginning with insuring a consistent bisque, getting your bisque ware ready for glazing, having a well-mixed glaze, the correct glaze thickness (specific gravity) and then the thickness of the glaze on the actual pot. He then walks you through a variety of application techniques – pouring, dipping and brushing on various forms, tumblers, bowls, vases and plates. If you are a beginner or intermediate potter who struggles with glaze application, this is the video for you. 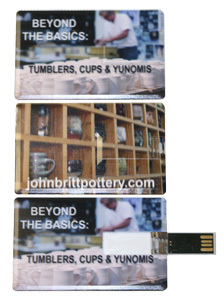 Quick Takes: PMC Basics consists of 30 short clips, or takes, each addressing a specific aspect of PMC. The key to the concept is a console that displays full navigational options at all times. Using either a DVD player or a computer (Mac or PC), viewers can click through the seven chapters, moving through each short segment with a click. 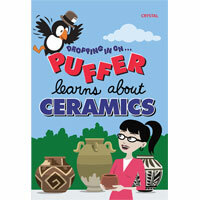 Polly also tells Puffer how clay is made in nature and briefly discusses its history. DVD, 30 minutes. Learn loading tips to help you get the most from your firings. Presents the groundwork for beginning practitioners of simple, primitive fired clay by presenting the basic procedures and follow-through of the wood firing of several works, of various shapes, in a reclaimed oil drum. This is a step-by-step video reference guide to learning how to work on the potter's wheel. 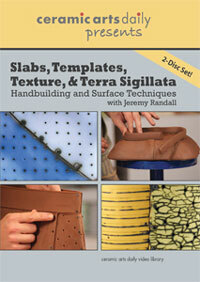 Visual close-ups of techniques, detailing precise hand and tool positions, provides an invaluable supplement to "hands-on" learning. It helps viewers to understand wedging, centering, opening, raising the wall, shaping from the cylindrical form, throwing open and close shapes, trimming right side up, use of throwing ribs and a whole array of other significant fundamentals that enable them to advance their skills in one of the world's oldest yet most contemporary art forming processes. With a seasoned awareness, Robert Piepenburg explains the theory and technical aspects behind the sequence of events employed to achieve the glossy richness of a white crackle glaze and to effectively realize the full color spectrum of a copper matte surface patina. This raku DVD is equally rich in primary source material and visual detail. It profiles the firing of two kiln loads of work to demonstrate how various forms might best be reduced after they leaver the kiln. It contains coverage of raku kiln loading and unloading, lighting the burner, preparation of combustibles and the stimulating impact of the smoking applications on the finished pieces..
With warm and candor, this DVD focuses on the human dimensions of Robert Piepenburg the artist. It gives a personal viewpoint of the artist and his creative process. 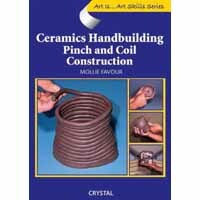 This step by step video reference guide to learning how to work by hand building clay body pieces. Demonstrations are given of various techniques and pieces. Runtime: 2 hours 32 minutes — 2 discs. Watching a great potter is one of the best ways to improve your throwing. With Nan Rothwell, you get the consummate teacher—knowledgeable, talented, and thorough. No matter what your skill level, you’re sure to pick up a lot of great techniques as she demonstrates everything from simple forms to complex projects. Discover tips that will help you make better, taller and more consistent forms. And when you follow her step-by-step instructions for making various creative projects, you’ll soon find yourself at a whole new level and ready to explore your own ideas. DVD: 2 hours 32 minutes — 2 discs. Runtime: 2 hours and 45 minutes – 2 Discs. In this installment of the Ceramic Arts Daily Presents Video Series, Lorna Meaden presents her techniques for elegant wheel-thrown pottery that is equally utilitarian and decorative. By carefully considering every detail, Lorna demonstrates how to successfully integrate surface decoration with a form to make a cohesive whole. In this DVD, you’ll enjoy her demonstrations of creating a range of forms, tips for working with porcelain, and the details of her signature decorating technique. DVD: 2 hours and 45 minutes – 2 Discs. Runtime: 2 hours and 32 minutes. 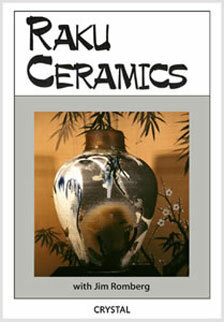 In this Ceramic Arts Daily Presents video, Nan Rothwell demonstrates the basics of glazing and decorating pots. In step-by-step demonstrations, Nan applies glaze by dipping, pouring, and spraying, and then shows a series of simple decorative techniques including tape and wax resist, under- and overglaze patterning, and brushwork. She also looks at a range of pots made by others, discussing the visual decisions each potter made and how they affected the form and design of the piece. Nan also includes material on mixing glazes and a brief appendix on glaze chemistry. 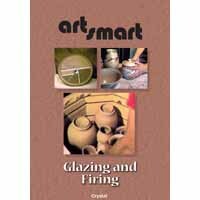 Watching this DVD, you’ll learn multiple specific tips for glazing, plus you will gain a larger vocabulary for the elements of design that come into play every time you sit down to glaze your work. Runtime: 3 hours — 2 discs. Mark Peters is a potter, but not your ordinary potter. He makes wheel-thrown functional pottery, and a lot of it is altered or assembled off the wheel. Each pot is organic and loose in form, while bold and defined in structure. You’ll find the fresh approach to throwing and decorating demonstrated in this DVD to be absolutely refreshing. DVD: 3 hours — 2 discs. In this installment of the Ceramic Arts Daily Presents Video Series, Martha Grover demonstrates how she creates her signature curvy forms from wheel thrown and hand built parts. She begins by explaining the four basic components of each of her pieces then combines those components in different ways to create six examples of her elegant forms (plus a bonus project!). In addition, Martha explains her meticulous glazing process. Though she is enamored with the soft, seductive nature of porcelain, Martha’s techniques can be easily adapted to any working style or clay. Runtime: 2 hours — 2 discs. In this DVD, Deborah Schwartzkopf presents functional vessels made using a variety of construction techniques. 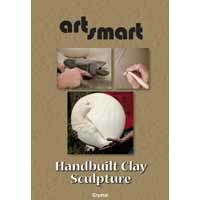 She offers many different examples of working with clay that will enrich your skills whether you’re a handbuilder or thrower. She describes and demonstrates the construction methods for making non-round, expressive shapes in clay by altering thrown forms and using patterned and molded slabs. By laying aside your preconceived notions of what a mug or bowl or any form usually looks like, you’ll be able to embrace the unknown and come up with new and compelling forms. DVD: 2 hours — 2 discs. We spend a lot of time learning how to throw and handbuild forms — cups, mugs, vases, even casseroles. But if it needs a handle, we can turn a decent form into a disaster! Well-designed and executed handles make ordinary pots look great, and they’re not that difficult—it just takes a some practice. 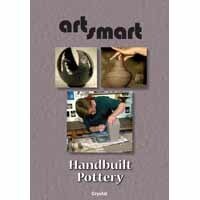 Expert potter Tony Clennell tackles the many aspects of creating handles in this DVD. With his easy-to-follow demonstrations and helpful pointers, you’ll be on your way to stellar handles in no time. 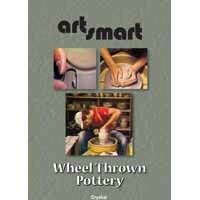 Rushing Waters Studio has teamed up with artists such as Tom Turner, Steven Hill, Scott Semple and Robin Hopper to create high quality ceramic instructional DVD videos. Graham Sheehan introduces beginning potters to low-tech approaches to clay arts. After digging and preparing local clay, he demonstrates modeling and slab techniques for making simple hand-built forms. He then shows how to build a small wood-fired kiln, using re-cycled bricks, in a matter of hours. Robin Hopper demonstrates the throwing techniques he has developed during his forty-year award-winning career. 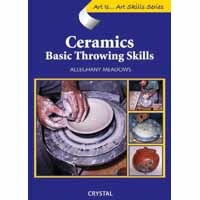 This comprehensive introduction to throwing on the potter's wheel features wedging, centering, the throwing of basic forms, and trimming. Robin presents throwing exercises that help students to master the throwing process. Graham Sheehan introduces potters to basic handbuilding techniques. He shows modeling, coil, and slab building methods using five different projects of increasing complexity. The video provides details about how clay should be prepared, how it can be joined to another piece and how glazes can be used to decorate forms. The program concludes with finished pieces fired in an electric kiln. Graham Sheehan shows beginning potters how to complete their pots once they have reached the leather-hard stage. The program demonstrates the use of electric kilns for successful bisque and glaze firings. Topics include kiln selection and operation; slip decoration; bisque loading and firing; use of cones; waxing; glaze mixing and application; glaze loading and firing. Gordon Hutchens introduces beginning potters to basic raku techniques. He makes several pots which are bisque-fired, then decorated using methods that take advantage of the unique characteristics of raku. After preparing his pots, Gordon shows how to make a simple kiln from a 55 gallon drum. He fires the pots demonstrating how to achieve the distinctive raku effects. 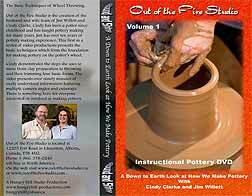 A five program series designed for beginning potters and teachers of clay arts. The series features artists Robin Hopper, Gordon Hutchens and Graham Sheehan. Each program is designed to stand alone, yet as a series the five programs provide a comprehensive introduction to clay arts.